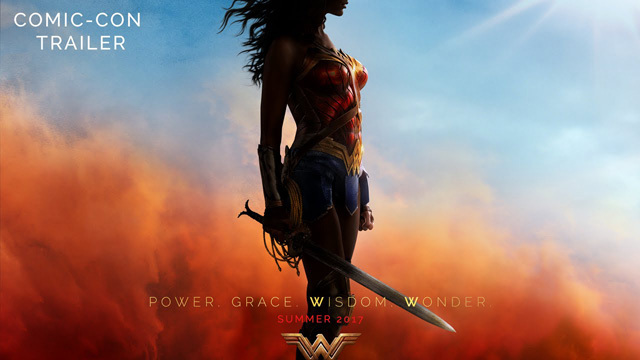 It's The First Trailer For WONDER WOMAN | Warped Factor - Words in the Key of Geek. The first trailer for Wonder Woman is here. Rejoice! It's a great first trailer, many times these ones are little more than teasers with around 90 seconds of footage, but with a full two and a half minutes there is just so much to absorb about the film’s story and supporting characters. But best of all, Gal Gadot continues to be everything and more as Diana Prince / Wonder Woman. She was responsible for nearly all the high-points of Batman v Superman: Dawn of Justice (don't be mean, there was some) and she's clearly getting to expand the role here and looks like she's loving it. Wonder Woman opens on June 2nd, 2017.